the sanctuary of the convent of St. Mortain, where the sisters still serve the gods of old. Here she learns that the god of Death Himself has blessed her with dangerous gifts—and a violent destiny. If she chooses to stay at the convent, she will be trained as an assassin and serve as a handmaiden to Death. To claim her new life, she must destroy the lives of others. 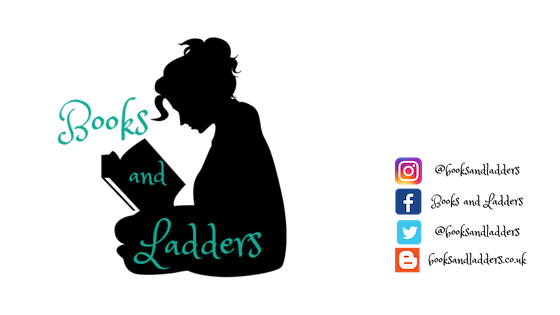 Ismae’s most important assignment takes her straight into the high court of Brittany—where she finds herself woefully under prepared—not only for the deadly games of intrigue and treason, but for the impossible choices she must make. For how can she deliver Death’s vengeance upon a target who, against her will, has stolen her heart. 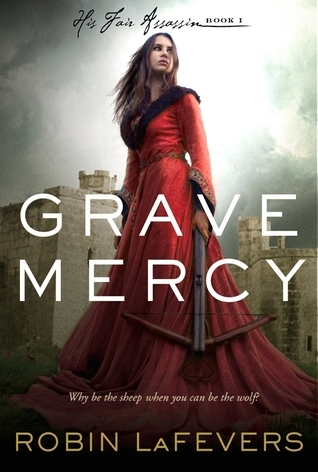 Grave Mercy was similar to Throne of Glass to me. Not so much in plot, which albeit did have some similarities, but in outline. Badass assassin girl gets sent on a mission to bring down some people, but ends up just wearing a lot of pretty dresses, playing politics she knows nothing about, and ultimately falling in love with the one who "saves" her from the life she was currently living. Don't get me wrong, if done well it can work, but I think the pitfall for Grave Mercy was that nothing really happened. Just like where many other first books fall short for me, it was heavy character development with the plot coming in second and the world building being non-existent. Ismae was so frustrating. She just blindly trusted the covenant and did as she was told. She never questioned anything, which would be fine EXCEPT the only reason she did start questioning the covenant was because they wanted her to kill Duval and his family. So, of course, when a man is involved you don't want to do what you have believed your whole life without question. I personally think it would have been better off that she never questioned anything and just did whatever she was told. I think that would have made for a better story, imo. But at the same time, I did like Duval. Their romance was stunted to me. It felt forced upon the reader and I did not think the chracters actually had that much chemistry. Yes, they were in each other's faces some times, but I did not think they were around each other enough or communicating enough to fall in love the way they did. My heart did melt at Duval's quote at the end. But really I didn't see it. I would have said that Ismae could have just as easily ended up with de Lorney or Beast as with Duval. The narrative didn't naturally lead me to believe that the two of them would be together. The world building was a little lacking for me. I know the majority of the history (although I was taught it a long time ago so I am a little rusty on it) but the author's note at the end cleared up some stuff. I would actually suggest reading that first because then you get a sense of what is happening and why the conflict is there. I understand that it is a historical fiction-fantasy novel and it is set in actual events, but outlining that a tad more at the beginning would have helped clear that up for people who don't know the particular history of Brittany. And I don't mean in an info-dump. There was ample opportunity to drop a bit more information than what was given to allow the reader a fuller picture of the time period, the conflict, and what exactly Ismae needed to do. Overall: 3/5 stars. I was a little disappointed with this one because I was expecting an action packed display of assassinations and bamfness. But I did not get that.